Low Vision doesn’t have to rob you of the things you enjoy, such as watching TV, reading, writing, driving, socializing, or simply playing with your grandchildren. If Low Vision has robbed you, or someone you love, of cherished activities and moments, a Low Vision aid or device can help! Watch this video to discover more about how Bioptic telescopic glasses work. Bioptic telescopic glasses are one of the most popular Low Vision glasses. They are designed as miniature binoculars above your line of sight in your eyeglasses. Simply lowering your chin slightly allows you to access the magnification needed to see objects. How Do Bioptic Telescopic Lenses Work? They work by providing visual magnification and widening of the visual field. The higher the size of the telescope, the wider the range of view. The power of the telescope ranges from two to four times magnification. Telescopes at a four times magnification allow the patient to adjust the lens power as needed based on distance. When fitting Bioptic Telescopic glasses, Dr. Brett Mills is able to incorporate your existing prescription. The glasses that hold the telescope, known as the carrier lens, will be set at the same refraction as the patient’s regular glasses for vision at shorter distances. To see objects further out, all the patient needs to do is to tilt his or her head down a bit to look through the telescope. The Bioptic Telescopic lens technology vastly outperforms alternative, less functional devices such as handheld and digital magnifiers. When it comes to improving quality of life, Bioptic Telescopic Lenses offer unmatched versatility and visual functionality. These five components are combined into the E-Scoop lens. They work seamlessly to create an enhanced image shifted to another part of the macula. With this, the patient is able to have enhanced vision that once was lost. At the , we have seen that many Low Vision patients prefer the E-Scoop glasses as they look and feel more like regular glasses. The glasses provide the patient with improved distance vision during night driving, under bright light etc. Full-diameter telescopes are designed for distance tasks that can be carried out while the wearer remains in place. Instead of a small bioptic lens on top of the glasses, this device covers the entire lens, the full diameter. They act almost like a binocular. or any other vision activity that doesn’t require moving around. The full-diameter telescopes work best when viewing items that are between 10 and 15 feet away. These telescopes cannot be safely used for walking. Tele-microscope glasses feature a seamless combination of two or three lenses, separated by a small gap of air. The telescope works by increasing the visual size of an image or object being viewed. They are also referred to as binocular telescopes. Prismatic reading glasses are essentially extra strong reading glasses. The glasses are designed to allow for a natural, comfortable focal point. Prismatic reading glasses feature optical quality spherical lenses that magnify and converge the image at the same time. They are primarily useful as a reading aid. Additionally, when worn for extended periods, the glasses can also help reduce eye fatigue. The Prismatic reading glasses help to improve convergence and minimize eye strain. If you need help with reading, our Low Vision specialist, , will fit the right prismatic reading glasses for you. Side-Vision Awareness Glasses (SVAG) was designed to assist people suffering from side vision loss or hemianopsia. It is an effective optical field expansion device that can help patients missing part of their visual field to expand their awareness of objects in their path, enhancing peripheral vision. SVAG feature a higher ABBE value. This helps to reduce distracting color aberrations seen by other lenses. SVAG also have the most extensive viewing area, thus, allowing better field awareness. These glasses feature more aesthetic lenses that are well suited for walking, reading, making out faces, etc. Many patients have successfully used these to drive. Many Low Vision patients find it difficult to cope with excess light and glare, which reduces visual capacity. Absorptive Lenses are usually worn on top of prescription glasses. They reduce glare, eliminate harmful UV rays, heighten visual contrast, and control the transition between light and dark environments. By regulating the quantity of light transmitted to your eye, absorptive lenses enhance visual comfort and safety. Absorptive lenses are often recommended to reduce glare under bright light or direct sunlight. IrisVision is an affordable and effective tool for overcoming the challenges of Macular Degeneration. This wearable device features advanced virtual reality technology and provides up to 70-degree field of view. IrisVision allows patients to see the world more clearly and fully. The device also comes with multiple view modes. For example, patients can use “TV Mode” to watch television and “Reading Mode” for reading text. For general viewing, the patient can simply switch to “Scene Mode”. OrCam is a groundbreaking device that is changing how people with Low Vision can view the world. It is a tiny device that can be clipped to your eyeglasses. The OrCam features a camera, speaker and a cable connected to a larger device. Making use of Artificial Intelligence (AI) software, the OrCam helps the wearer to read text, identify products, recognize faces, and more by reading or announcing information the camera interprets. eSight is a medical breakthrough that restores functional sight, and allows the visually impaired to see the faces of loved ones, read, work, study, and participate in virtually any Activity of Daily Living. eSight is worn like a normal pair of glasses. It houses a high-speed, high-definition camera that captures everything you are looking at, and then displays it on two near-to-eye displays. Advanced, medically-validated algorithms optimize and enhance the footage so that your eyes can truly see it, and in real-time. Low Vision refers to visual impairments which cannot be corrected using traditional eye correction techniques such as standard glasses, contact lenses, medicine, or surgery. It can be a result of eye injury, eye conditions such as macular degeneration, or other factors such as age. 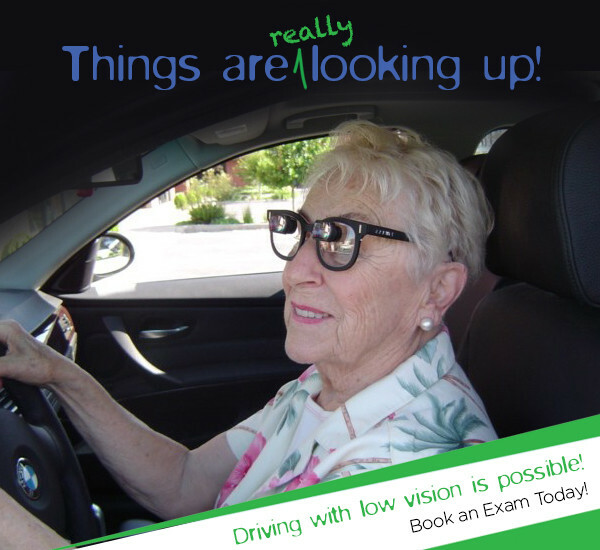 Having Low Vision means it is difficult, if not impossible, for patients to perform everyday ordinary activities such as driving or even reading. Sadly, all too often patients are told that there is nothing to be done, resulting in a loss of hope in addition to the loss of daily ability to function. What Are Low Vision Aids? Low Vision glasses can help restore your independence. At Eyehelp - A Macular Degeneration and Low Vision Clinic, we custom fit state-of-the-art devices that improve visual functionality for patients suffering from Low Vision. Whether you are unable to read, recognize faces, drive, or simply go about your daily life, a Low Vision Aid can drastically improve your quality of life for the better. Low Vision aids and devices help you visually circumvent the day-to-day challenges of eye conditions such as macular degeneration, diabetes, diabetic retinopathy, glaucoma, and retinitis pigmentosa. The success of these devices is well-documented. You or your loved one will be able to see for themselves. With the help of these innovative vision aids, magnifiers, glasses, devices, and other technologies, Dr. Brett Mills of Eyehelp - A Macular Degeneration and Low Vision Clinic has been able to help patients, both young and old in Arkansas overcome the limitations of Low Vision for years. How Do Low Vision Glasses And Aids Work? 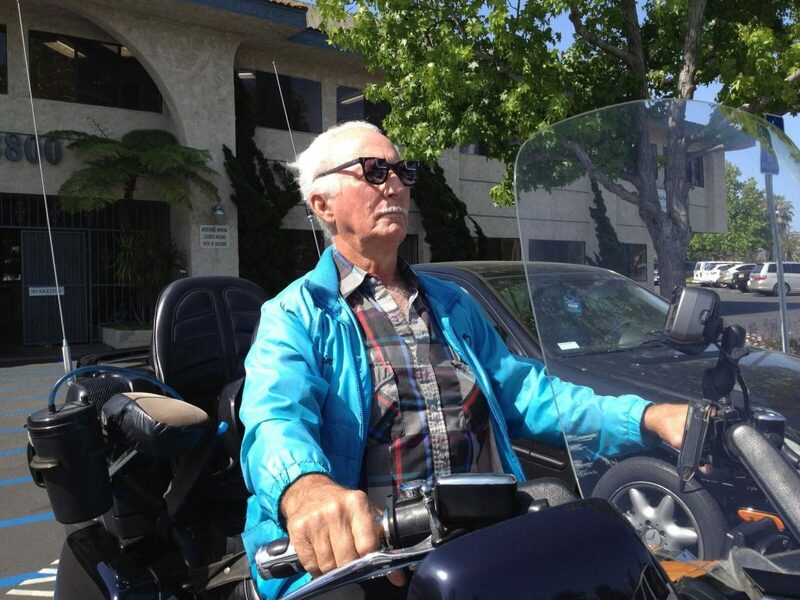 Low Vision glasses and devices work by utilizing and maximizing whatever vision remains. By significantly enhancing and directing the vision you still have, Low Vision glasses, aids or devices allow the wearer to regain the specific vision functions that have been lost. Low Vision glasses and devices come in a wide range of designs and powers. They range from simple handheld magnifying lenses to advanced electronic device to state-of-the-art telescope glasses and more. Dr. Brett Mills will ensure that the recommendations are personalized to meet your specific condition as well as lifestyle needs and diverse visual requirements. Our low vision doctor helps patients from Bentonville, , , , and the state of Arkansas find the ideal low vision devices for their needs. What Low Vision Aids Do You Need? Most Low Vision devices are categorized as either optical, electronic, or non-optical. Each device type is geared towards different visual tasks. At Eyehelp - A Macular Degeneration and Low Vision Clinic, our Low Vision doctor, Dr. Brett Mills will begin by first assessing the severity and specific limitations arising from your Low Vision condition. Once that determination is made, you will be scheduled for a 60 - 90 minute Low Vision Evaluation. This helps to determine the extent of your vision loss, the affected parts of your visual field and whether it’s central or peripheral. Dr. Brett Mills will then recommend a suitable Low Vision aid or device. Patients visit us for low vision devices from Bentonville, , , , and the state of Arkansas. Here are some of the Low Vision Devices that the can fit you with. Today, computers are essential to how we communicate, learn information, and engage with the world. However, they pose problems for people suffering from Low Vision, primarily due to issues relating to resolution, contrast, size, etc. Fortunately, there are advanced programs designed for Low Vision and the Visually Impaired which adjust the visual output of the computer to compensate for these problem. Low Vision software includes JAWS Screen Reader and MaxiAids, amongst others. Also referred to as closed-circuit television (CCTV), video magnifiers make use of a handheld or stand-mounted camera to enlarge and project an image onto a screen. These video magnifiers often feature cameras. The zoom lens of the camera will determine the level of magnification and focus. Video magnifiers are useful when distinguishing between colors is crucial. This can include maps, color photographs, and so forth. The CCTV consist of camera, viewing screen or monitor, mount arm for camera, and lenses for zooming. Viewing modes with color, lighting, and contrast helps to provide an improved vision. By making use of the CCTV, patients can carry out various tasks such as reading books, writing, playing a crossword puzzle, connectivity to a computer and so forth. When you visit our eye care facility, our Low Vision doctor, Dr. Brett Mills, will recommend the suitable CCTV for you. Handheld magnifiers are portable devices that can help to magnify objects. They can increase image size between 1.5 – 20 times. For convenience, you can simply tuck the magnifier into your pocket or purse. Some feature battery-powered lights. Handheld magnifiers can help Low Visions patients to enhance their reading and viewing ability. The stand magnifier is a plus lens mounted on a stand. The lens magnifies objects between 2-20 times. The majority of stand magnifiers now feature built-in lights that provide excellent illumination. Stand magnifiers are an excellent option for reading. Eyehelp - A Macular Degeneration and Low Vision Clinic provides Arkansas with Low Vision aids and devices that can drastically improve you or your loved one’s ability to cope and thrive day-to-day. Contact us to discuss your options for reclaiming your vision and your life. Low vision glasses help you regain your independence. With the help of new technology, eye doctors are now able to help patients live with the vision loss associated with certain eye diseases.